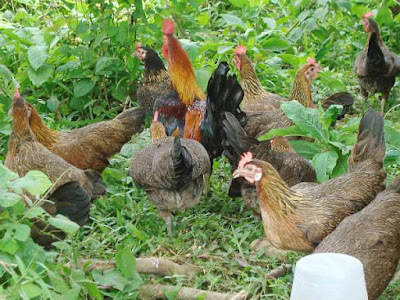 The native chickens in Zamboanga peninsula (Zampen) is emerging as the Philippines’ best performing native chicken, the Department of Science and Technology-Philippine Council for Agriculture and Aquatic Resources Research and Development (DOST-PCAARRD) said. With the initial findings on the superiority of the Zampen native chicken, the DOST-PCAARRD has launched a program to promote native chicken rising among farmworkers and small holder farmers to supplement their meager, if not seasonal earnings. Synan Baguio, director of the DOST-PCAARRD Livestock Research Division, said they have already developed a batch of Zampen native chicken breed from which they would produce and distribute native chickens throughout Zampen which covers Zamboanga City, and the provinces of Zamboanga del Norte, Zamboanga del Sur and Zamboanga Sibugay. The large-scale breeding of standard breed of the Zampen native chicken stock is being pursued with the Western Mindanao State University, and the Western Mindanao Agriculture and Aquatic Resources Research and Development consortium. Baguio said Zampen native chicken raising can be pursued by farmworkers in the small and large rubber and fruit trees as well as coconut tree plantations spread out over Zampen, boosting their meager and seasonal income as farmworkers. “This is really for the local farmers and farmworkers. The development of the native animals is biased for the small rural farmers,” Baguio said. With native chicken raising, there’s no need for fences since raisers can just let the chickens roam in the farm, he noted. Baguio said the cost of raising native chickens is low since they have their natural behavior of foraging. He said native chickens were also more disease-resilient. The DOST-PCAARRD has conducted a comparative study on native chickens from Zampen, Panay island, Bicol region, Bohol province. It also developed a breed and free range production protocol for the four native chicken strains, also as part of the program to promote native chicken raising as an additional livelihood for farmers throughout the country. “We got the genotype that is predominant in the area on the assumption that the reason why they’re so many is because they fit in the environment, they survive well in the environment,” Baguio told The Star. Baguio said there was a need to develop a breed to provide a Zampen native chicken quality standard that will assure breeders and the end-consumers of the quality they are looking for in the native chicken meat. “We feel that it’s the reason why no one is investing to use our native genetic resources in building enterprises.”There will always be reluctance to put in capital because they cannot ensure the quality of product they will be coming up with,” Baguio said. Baguio said native chicken meat also allows raisers and sellers to command premium price, especially those who organically raise the native chickens. “Native chicken commands a higher price because of its superior quality over commercial broilers,” Baguio said.